Susan Wiggs became a self-published author at the age of 8. That first work “A Book About Some Bad Kids” sold out – there was only one copy. She temporarily gave up her ambition to be a writer and instead became a Harvard graduate and math teacher. It was late one night, when she found herself without anything to read, that she first began writing a novel. She continued to write and learn her craft. Her first book, “Texas Wildflower”, was published in 1987. 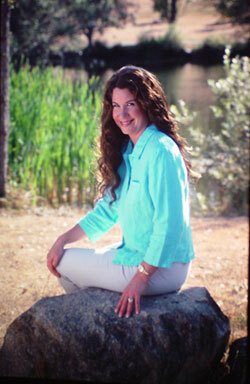 She has written many historical and contemporary romances with a wide range of settings and time periods. Several of her novels are connected. Susan lives in the Pacific Northwest with her family.